Ah, Starbucks. 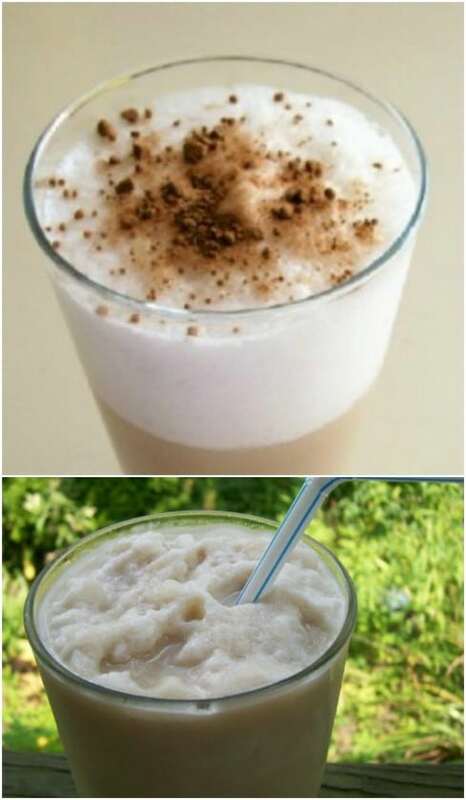 Those wonderful cappuccinos and frappe’s are my favorite things to indulge myself. Of course, those flavorful coffees and sweet treats don’t come without a price. That price can be really expensive if you tend to pick up a Starbucks coffee several times a week. The solution? Make those favorite drinks yourself at home and I’ve got just the collection of recipes to help. 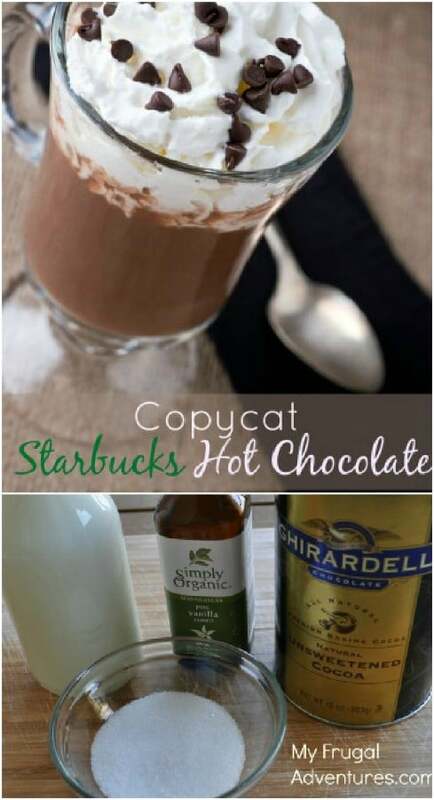 I’ve found 35 delicious Starbucks copycat recipes that taste just as good – even better – than the original. And, you don’t have to wait in line to get them! Some of these wonderful coffees would taste great when paired with this amazing blueberry pie recipe. Or, there are also some great bagels, breads, and sandwiches included in this recipe collection – all inspired by those tasty treats that you spend way too much money on at Starbucks. Let’s face it, we all like to save money, right? One of the best ways to cut down on your weekly spending is to stop visiting restaurants throughout the week. That’s what makes this collection so great. You can still enjoy your favorite Starbucks coffee or snack and save money while you’re doing it. What could possibly be better than sitting down to knit or crochet with your favorite Starbucks coffee at your side? While you’re knitting, be sure to check out these gorgeous infinity scarf patterns that you can make in a snap. Now, let’s get back to our Starbucks treats. From frozen coffees to iced coffees and even traditionally hot coffees, this collection has any recipe that you can imagine. 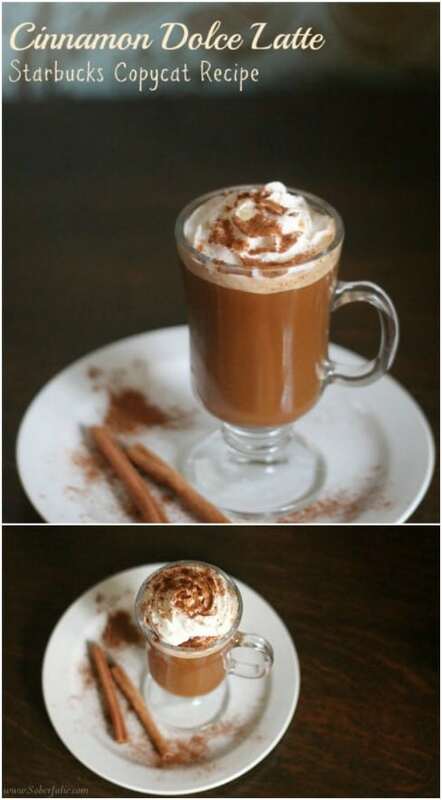 There’s even a copycat recipe for Starbucks famous hot chocolate and some wonderful foods, too. If you love Starbucks but just can’t comprehend spending that much money on a cup of coffee, you are going to love this recipe collection. I adore a good caramel macchiato but spending over $7 every time I stop at Starbucks just really adds up. You can make that same coffee at home for around a dollar or less, and have the ingredients on hand to enjoy it anytime you want. Let’s take a look at some of the most popular drinks and treats from the coffee mega store and learn how to DIY them. You’ll save time and money and really start your day off right with a homemade Starbucks coffee! Starbucks’ asiago cheese bagels are amazing and a wonderful way to start the day. If you love these scrumptious treats but are trying to save money, you can easily make them yourself at home. And, these are completely homemade – so you know exactly what’s going into them. You could make them a bit healthier and get rid of that guilt that comes along with eating breads. Starbucks’ bacon, egg, and gouda is one of my favorites. It has bacon of course, which makes it instantly delicious and the ciabatta bread is a wonderful breakfast treat. 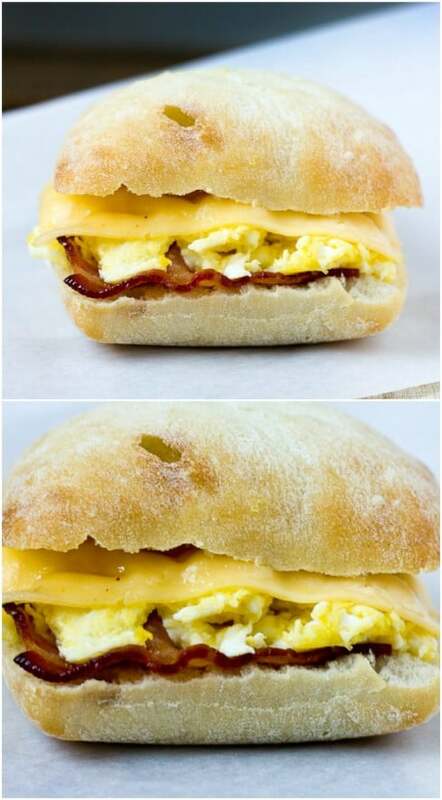 Save time and money by making this amazing breakfast sandwich yourself. You just need a small ciabatta roll, a slice of gouda cheese, an egg and a slice of bacon – or two or three depending on how much you love bacon. It only takes about five minutes to make and it’ just as delicious as the original. This Starbucks knockoff tastes like heaven in a mug. You start with apple juice, or apple cider if you prefer. 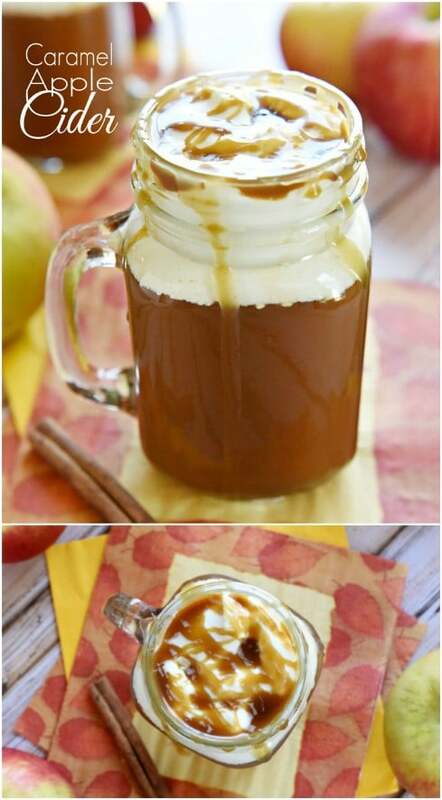 The drink has homemade cinnamon syrup, which is really easy to make, and homemade caramel sauce which is amazingly delicious. It’s also got fresh whipped cream. Don’t let all that homemade talk scare you. This one really doesn’t take that long to whip up and it’s perfect or those fall evenings when you want something sweet. 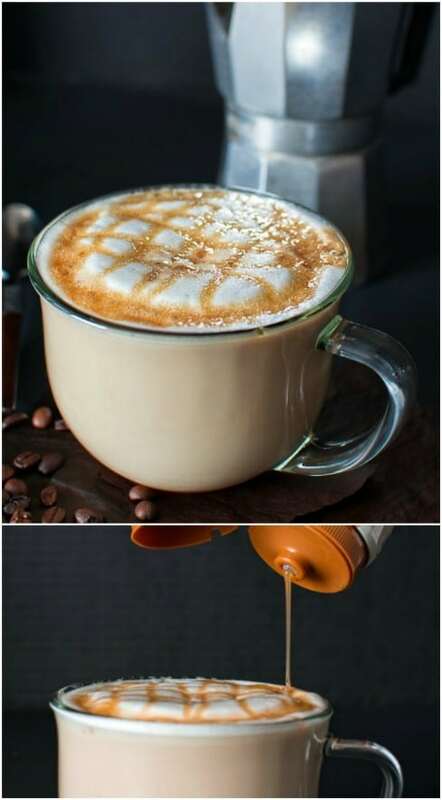 This delicious latte combines strong coffee with caramel sauce – which you can easily make yourself. It also has creamy milk and whipped cream. This tastes just like the lattes that you get at Starbucks but costs much less than what you’ll pay at the coffee giant. Plus, it’s homemade, so that instantly makes it better, right? And, it only takes a few minutes to make and you don’t have to stand in line for half an hour to get it. Caramel macchiato is my all-time favorite Starbucks drink. I’ve probably spent enough on these coffees to buy stock in the company. They’re just so delicious, and this copycat recipe tastes just like them! This really doesn’t take long to make and you just won’t believe how wonderful it tastes. You could also put it over ice if you prefer the iced version of the caramel macchiato. Either way, you’re in for a wonderful treat with this one. 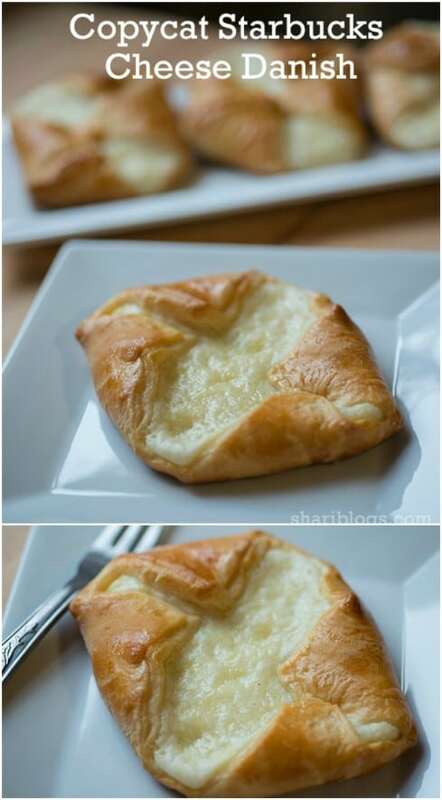 These delicious Starbucks copycat cheese danish are so easy to make and then only take about 20 minutes or so including baking time. You only need a package of crescent rolls, a package of cream cheese, sugar, vanilla, and an egg. That’s it and you’ll have these amazing danishes that go perfectly with those copycat coffee recipes. These are perfect for a quick breakfast or just anytime you want something a little sweet. 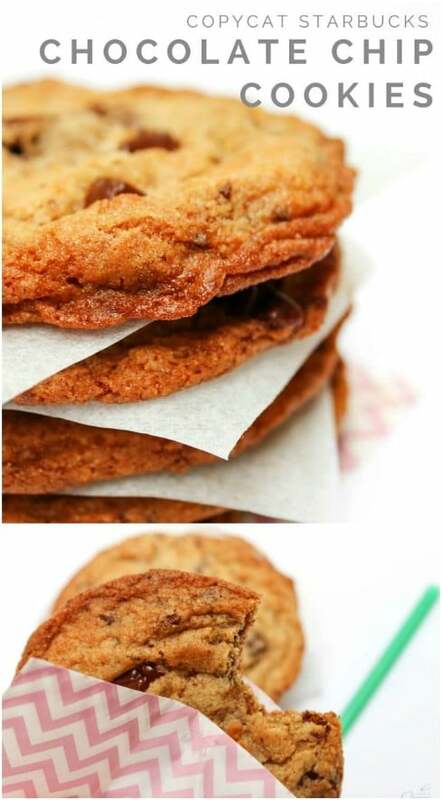 Chocolate chip cookies are great anytime, and these copycat Starbucks cookies are amazing. They have a crispy buttery edge and dark chocolate chips. To make them taste so wonderful, and so unique, you use white and wheat flour, which also makes them a little healthier than traditional chocolate chip cookies. Imagine, having those buttery delicious cookies right out of the oven! 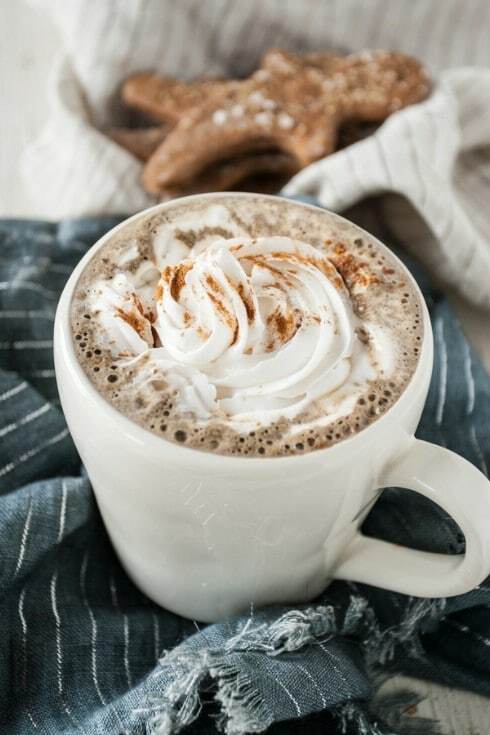 This cinnamon dolce latte looks as good as it tastes. With its rich color and dollop of whipped cream, you’ll feel like you’re right there are Starbucks enjoying one of their signature coffees. Of course, this one is much cheaper and takes less time to make. You even make your own dolce syrup with sugar, cinnamon, and vanilla. The espresso is what really give it a wonderful flavor and overall, this is a really easy coffee recipe, and one that is sure to become your favorite. 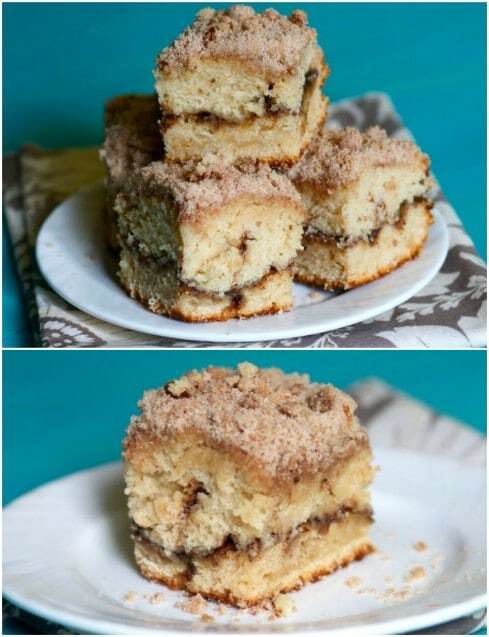 If you have ever been to Starbucks you may have tried their delicious coffee cake. With the streusel topping and moist center, it really is a delicious treat that pairs perfectly with those Starbucks coffees. This cake takes a bit of time but it will be worth the extra effort I assure you. Greek yogurt gives it a wonderfully moist texture and vanilla, cinnamon, and cocoa powder give it a delicious flavor. Bake this up to serve with your copycat lattes or for a wonderful breakfast treat. Summer is nearly here which means wonderfully cold and refreshing drinks. This cool lime refresher recipe is just like the one you get at Starbucks, but cheaper of course. 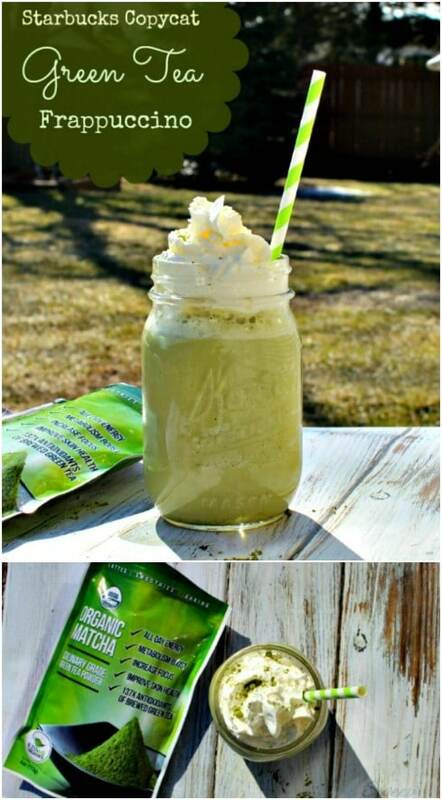 If you’re a fan of the Starbucks limeade drink, you are really going to love this one. You can make an entire pitcher and thrill guests at your summer cookouts. 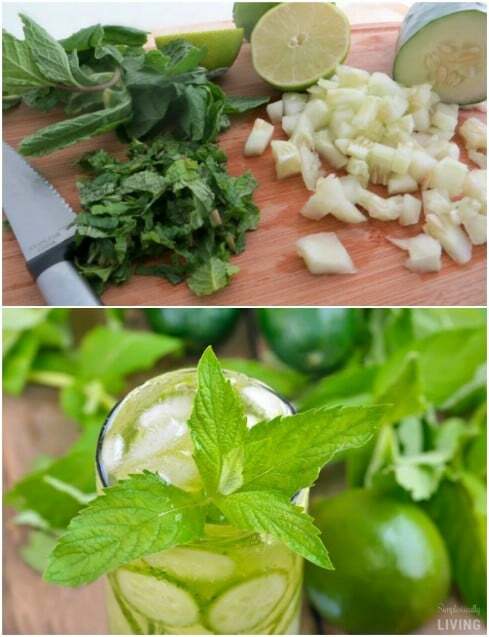 Fresh limes, mint leaves, and cucumber give it a wonderfully refreshing taste. This DIY green tea frappuccino recipe makes a drink that is just as light and scrumptious as the ones you can get at Starbucks, for less than half the price. I love green tea and I love this recipe. It’s just sweet enough without being overbearing. You use milk – almond milk is a great choice – as well as instant vanilla pudding and Matcha green tea powder. It’s thick and delicious and just perfect for those warm summer evenings. This is the perfect warm drink for the holidays. I realize the holidays are quite a few months away, so go ahead and enjoy it now. If you want something that’s not too sweet but still warm and delicious, this is the perfect latte. Plus, ginger is a great natural pain reliever, so this is a good drink to help soothe those busy week stress headaches. With molasses, maple syrup, cinnamon, ginger, and a host of other yummy ingredients, this latte is the perfect pick me up any time of the day or night. 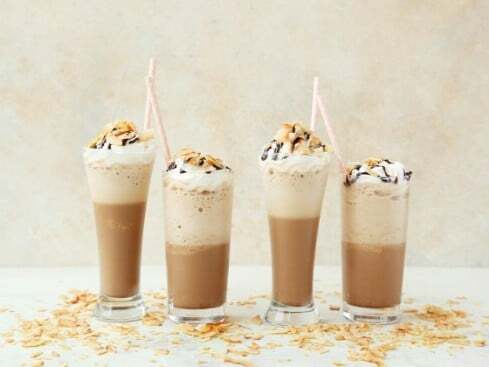 Snickers candy bars give this delicious Frappuccino its flavor. It also has heavy cream, vanilla extract, powdered sugar, caramel, and a cup of Starbucks caramel iced coffee. You can purchase a bottle of the coffee or make it yourself with coffee, sugar, and caramel flavoring. 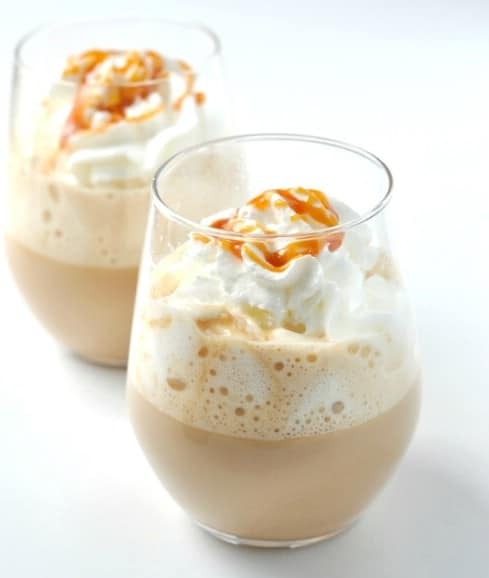 It’s a delicious iced coffee that is easy to make and the perfect sweet treat. Iced chai latte is probably one of the most popular drinks at the company. 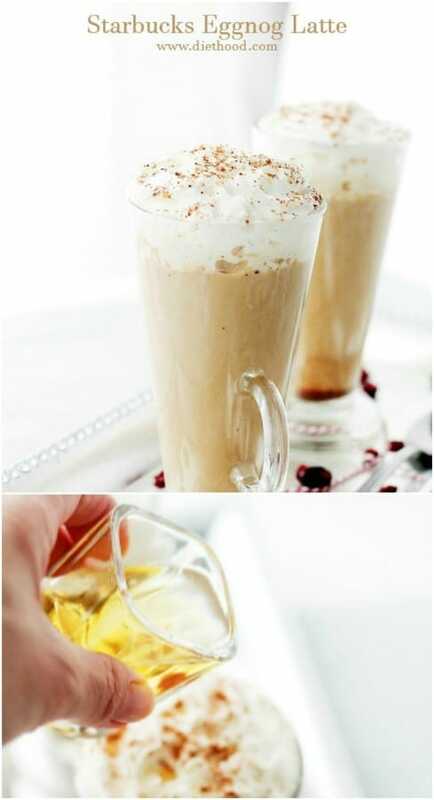 You’ll need chai tea concentrate, which you can make yourself, along with milk and ice. Note that if you use almond or soy milk, you may need to adjust the sugar in the concentrate just a bit depending on how sweet you like your coffee. This is a wonderfully refreshing coffee that is light and just a bit sweet – not nearly as overbearingly sugary as some iced coffees. Pound cake is wonderful with coffee, which is why they serve it at Starbucks. If you’ve ever tried their iced lemon pound cake, this copycat recipe is really going to thrill you. It’s a moist pound cake that is filled with lemony goodness and topped off with lemon frosting. If you love lemon, you are surely going to love this pound cake and it pairs perfectly with any coffee drink that you like, iced or hot. 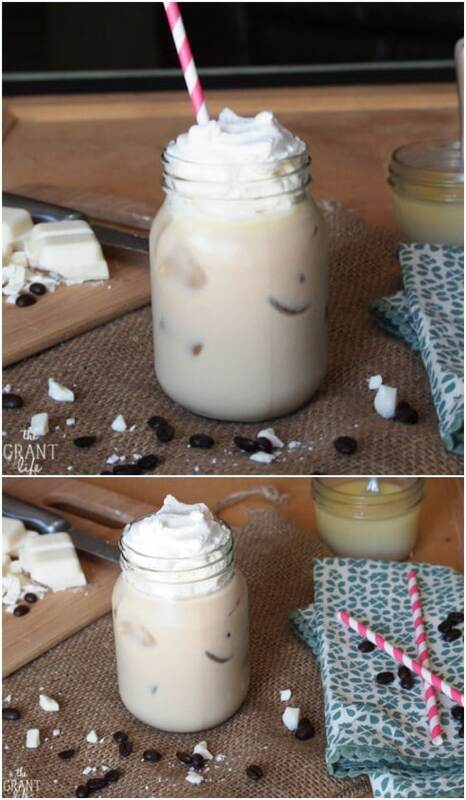 This iced white chocolate mocha tastes just as good as Starbucks – even better since you make it yourself. It has white chocolate sauce, which you can either make yourself or buy at many grocery stores. 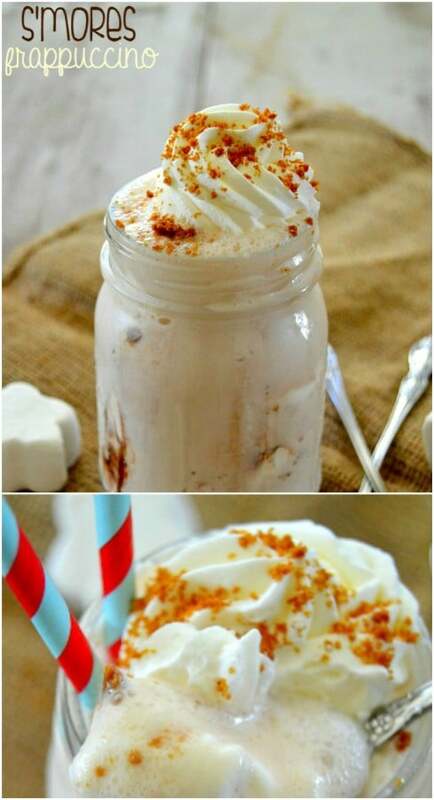 You also use cold coffee, milk, and top it off with whipped cream. If you’re a fan of mocha but prefer white chocolate to the darker varieties, this is a great iced coffee choice. And, it’s quick and easy to make. If you’re like me, love Starbucks coffees but try to avoid the added fat and sugar, this light Frappuccino is perfect. Instead of heavy cream, you use light milk. You can also use sugar substitute to eliminate a few additional calories. This is a nice, dark coffee that is chilled and served over ice. It’s perfect for your morning caffeine rush or just anytime you need that extra boost throughout the day but want to avoid the extra calories. I love cherries. I mean, I could eat cherry pie every day. 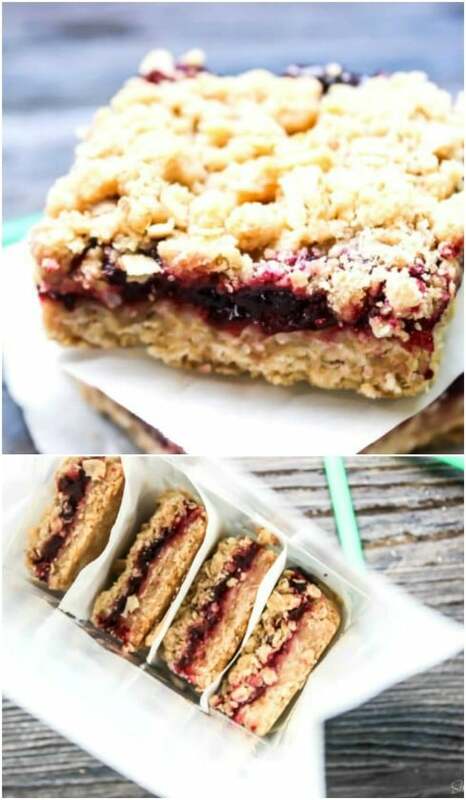 These Starbucks Michigan cherry oat bars are probably my favorite sweet treat from Starbucks. If they’re yours, too you can totally make them at home. And, when you make them at home, you get the entire pan and not just one bar – of course, I don’t condone eating an entire pan or anything. These are really easy to make and so delicious. Chocolate syrup, semi-sweet chocolate chips, and Oreo cookies – what else could you possibly need in a frozen coffee? 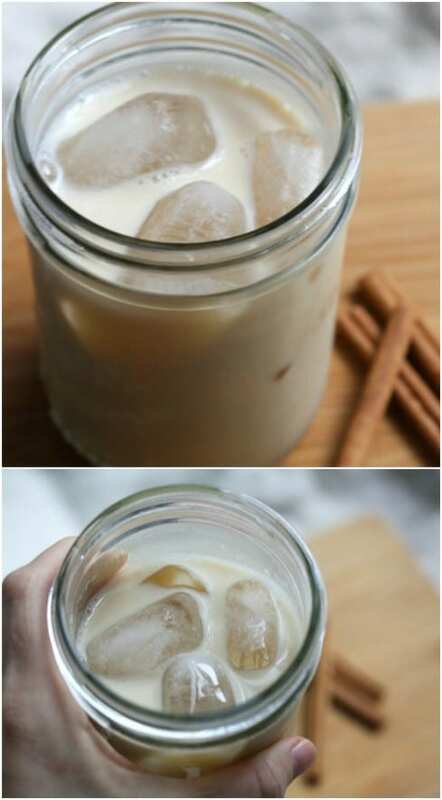 What’s really great about this is you can make it with coffee ice cubes, which is a great idea for any iced or frozen coffee drink. Just freeze coffee in your ice cube trays and they keep your coffees from tasting watered down. 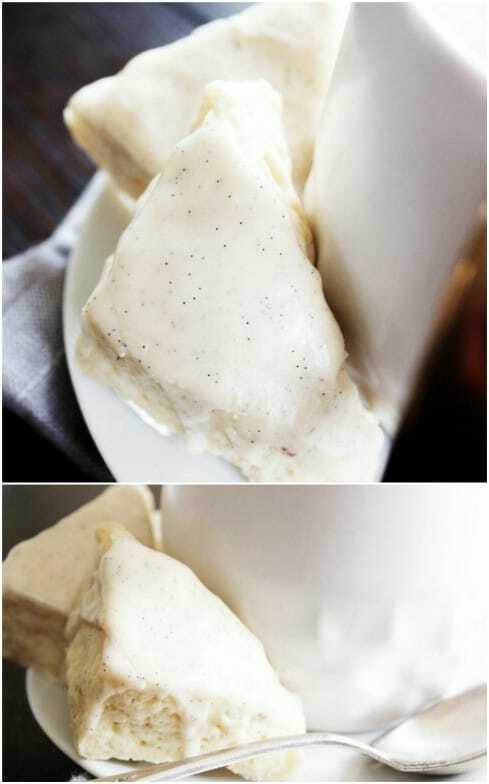 This frozen treat is delicious and takes just a little time to make. 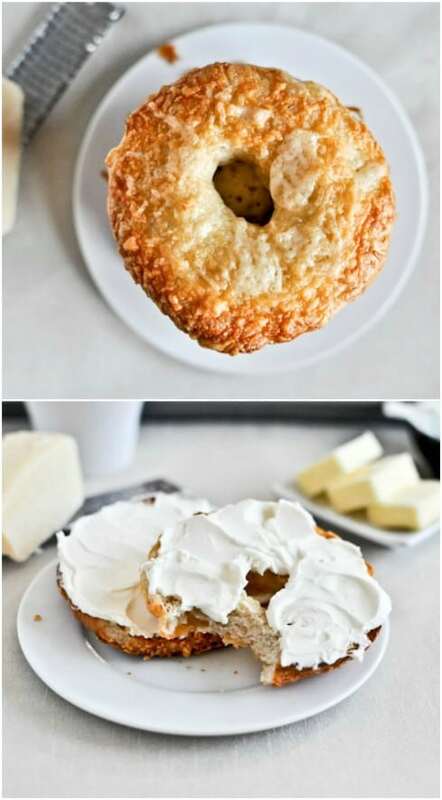 You can really start your morning off right with these homemade Starbucks morning buns. 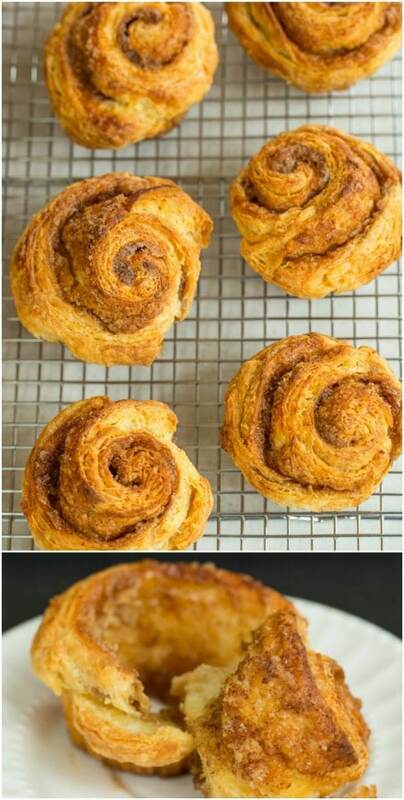 This recipe is such an easy one and creates delicious buns that are perfect for a quick breakfast. You make these completely from scratch and they’re something that the entire family will enjoy. These are so perfect to go with your first cup of coffee in the morning. Plus, making them at home is much cheaper than buying at Starbucks and you get the satisfaction of knowing that they’re homemade. Smoothies are one of my favorites things in warmer weather. I’ve tried them from so many different restaurants and the orange mango smoothie from Starbucks is among my favorites. I just can’t have them every day though, because of the cost – until now. These knockoff Starbucks orange mango smoothies taste just like the ones you get from Starbucks. They’re much cheaper, though and you have the opportunity to adjust them to meet your dieting needs. If you’ve never tried the passion tea lemonade from Starbucks, you are seriously in for a treat. 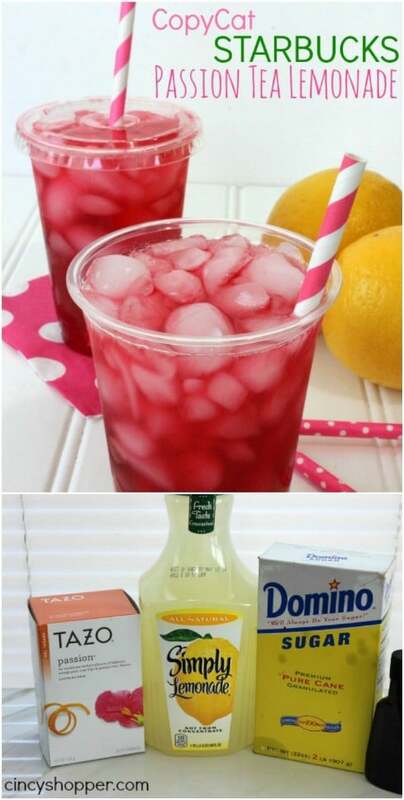 This DIY Starbucks passion tea lemonade tastes just as good as Starbucks and is the perfect refreshing drink in the warmer months. You’ll need passion tea bags, which you can get from Tazo and they are delicious. 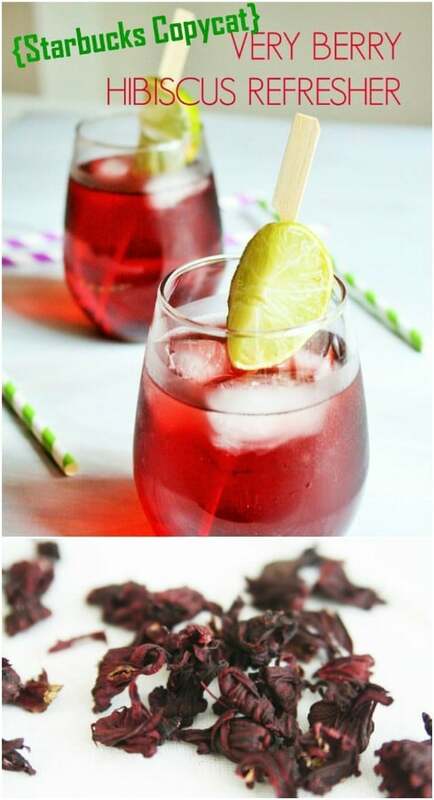 There’s also lemonade, sugar, and vanilla, and together, the ingredients work wonderfully to create this amazing tea that is as pretty to look at as it is delicious to drink. It’s not anywhere near the holiday season, but you can make this peppermint white chocolate mocha any time you want, really. It’s delicious and perfect for those cooler nights, which we get here in the South throughout mid spring. 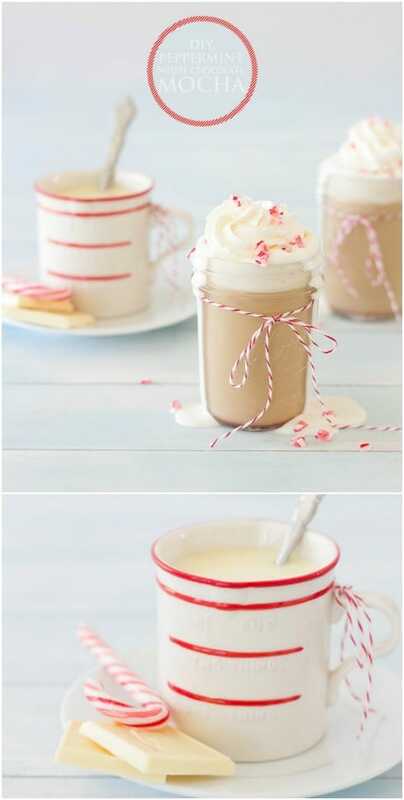 White chocolate and peppermint are wonderful together – when you add coffee it’s just the best warm drink ever. 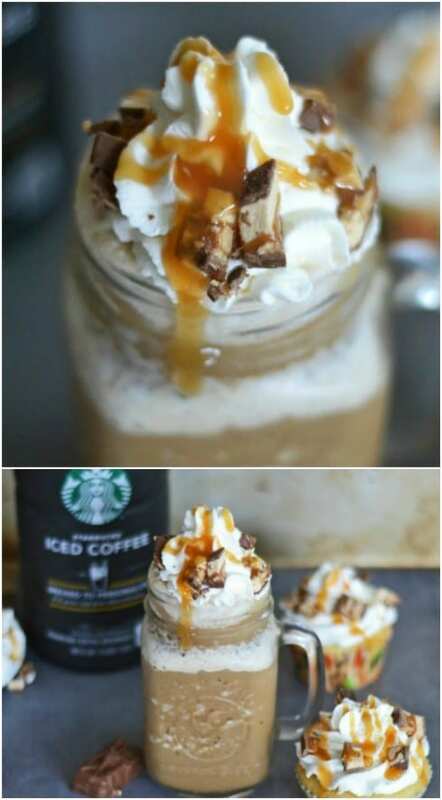 This Starbucks copycat recipe is absolutely delicious. These little mini scones are so yummy and the vanilla bean icing just makes them perfect. Vanilla beans give them a wonderful flavor and they’re not too sweet – just perfect for that first cup of coffee in the morning. If you need a quick and tasty breakfast recipe, this is a great one. It’s also good for dessert or anytime you want something sweet and petite. 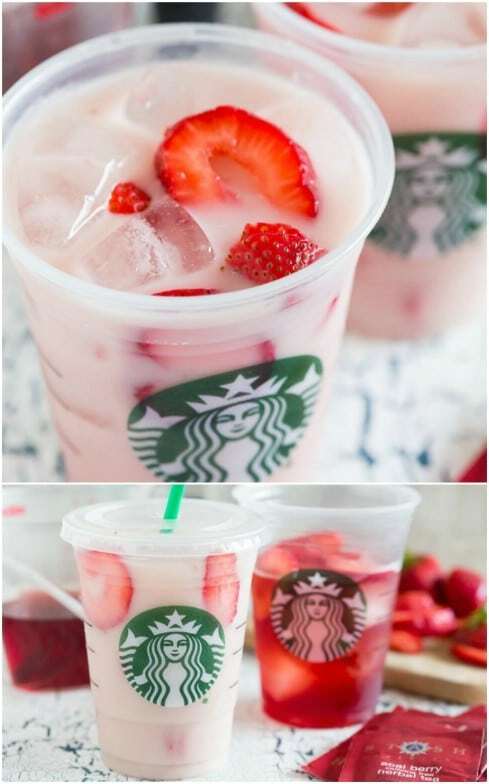 Imagine all the flavor of Starbucks’ famous pink drink without the cost. 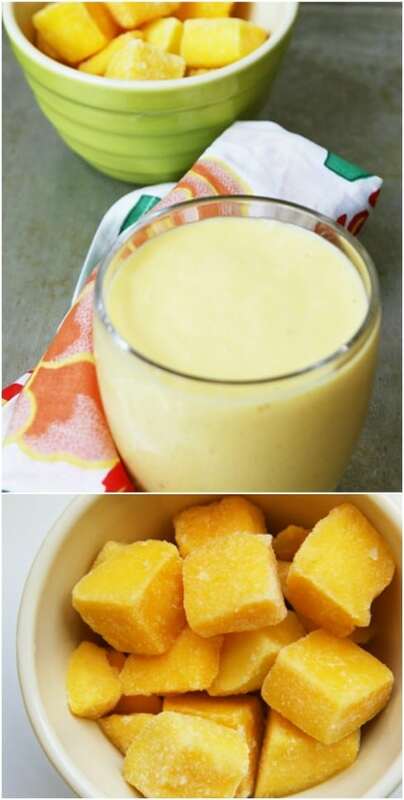 This is a wonderful recipe and it allows you to customize the amount of sweetness. The recipe uses acai berry tea, which is really tasty, as well as white grape juice, unsweetened coconut milk – although you could use almond or soy milk if you prefer – and fresh sliced strawberries. You can also add agave nectar if you want. The ingredients are fresh so this is a relatively healthy drink and it’s so delicious. Scones are so delicious. They’re not too sweet but just sweet enough to take care of that sweet tooth. 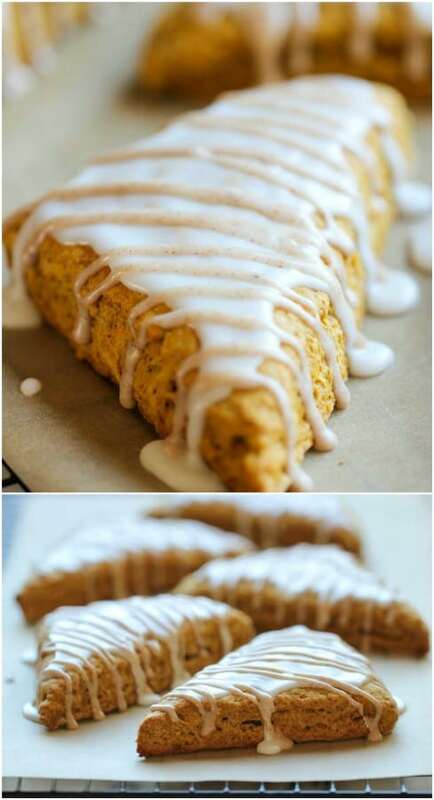 These Starbucks copycat pumpkin scones are certainly no exception. Even if it’s nearing spring, these fall favorites are delicious and so easy to make. They’re crumbly and fluffy at the same time and have two different flavored icings which make them delicious. Fall, winter, spring or fall, these are sure to become a breakfast favorite. One of my favorite times of year is when they bring out the pumpkin spice lattes at Starbucks. I seriously can’t contain myself. If you’re like me and a huge fan of pumpkin spice coffees, this recipe is sure to please. You can make that pumpkin spice latte any time you want, and it’s cheaper and tastier than the ones you get from Starbucks. Plus, this recipe uses real pumpkin, not pumpkin spice so it’s much tastier and sure to fulfill that pumpkin taste you desire. Topped with whipped cream and mini chocolate chips, this Starbucks hot chocolate is so delicious, you’ll want to make it every day. It’s so rich and creamy, and takes just about three minutes to make from start to finish. You couldn’t even get through the line at Starbucks in three minutes! You could add mini marshmallows instead of whipped cream if you prefer, but honestly there’s nothing better than a steaming cup of hot chocolate with some whipped cream on top. This roasted tomato and mozzarella panini is a big hit at my local Starbucks. I love that you can make it at home, saving time and money. Plus, when you make it yourself you can control the quality of ingredients that you use, so it can be much healthier. Imagine saving money and calories! 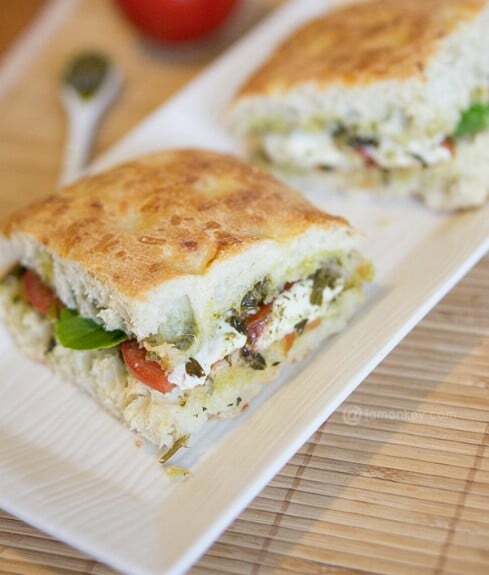 With roma tomatoes, fresh mozzarella, basil and other spices, and a delicious focaccia roll, this is sure to become a favorite lunch option and it’s perfect if you’re looking for a low fat vegetarian sandwich. This copycat s’mores Frappuccino is chocked full of creamy goodness. The marshmallow whipped cream really makes it delicious and there are crushed Bicoff cookies on top. Fudge sauce and of course, coffee top it all off. If you love s’mores, this is a definite must on your to do list. You have to try this – even if you’ve never tried the s’mores frap from Starbucks. Believe it or not, this one tastes even better because of the homemade marshmallow whipped cream. Okay, so it’s not really eggnog season but why should that stop you from enjoying a delicious eggnog latte? 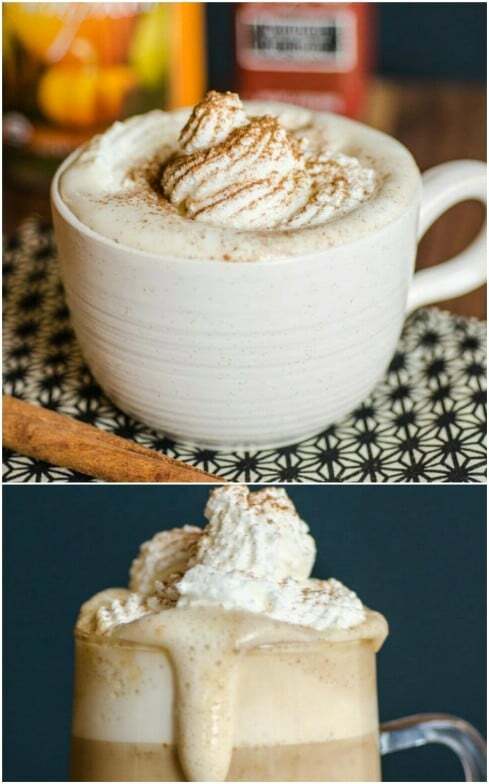 Starbucks may have stopped making these until next season but you can make them at home anytime you like. You use really strong espresso, steamed eggnog and milk. If you can’t find eggnog anywhere right now, you could always make your own. My mother used to make homemade eggnog every Christmas and it tastes much better than anything you can buy in a store. This Starbucks strawberries and crème Frappuccino is wonderful. 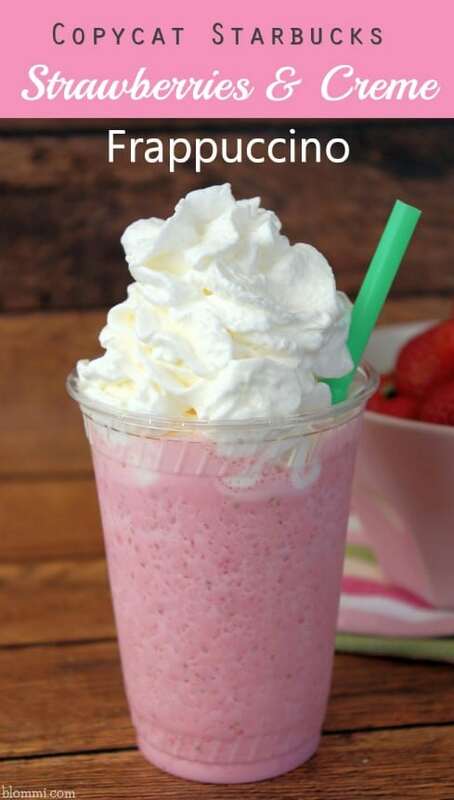 With delicious fresh strawberries, vanilla ice cream, and strawberry syrup, you just won’t find a more delicious drink for spring and summer. The xanthan gum in the recipe is optional but it does help to thicken up the drink quite a bit. 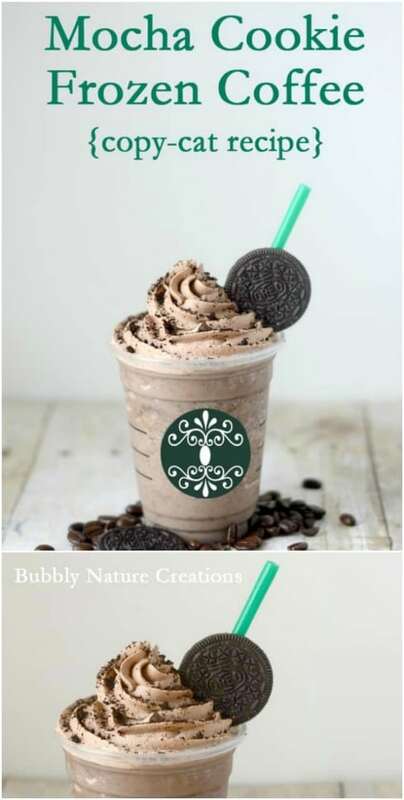 If you prefer your frap a bit less thick, you can leave that out. The purple drink is another really popular Starbucks drink and it’s really easy to mimic it at home. 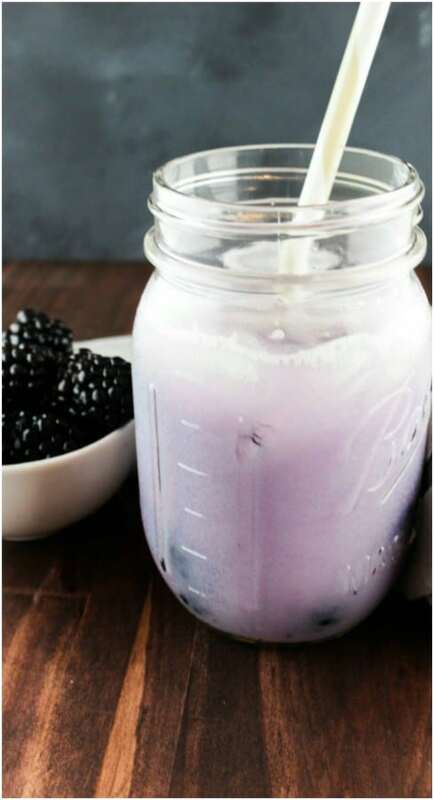 It has iced passion tea that you make from passion tea bags, vanilla soy milk – or you could mix it up with almond or coconut if you prefer, simple syrup, and of course, wonderful blackberries. This recipe makes an entire pitcher so it’s perfect for brunches, picnics, or family cookouts during the warmer months. This is another wonderful summer drink. The very berry hibiscus refresher is filled with wonderfully fresh ingredient such as dried hibiscus flowers and muddled blackberries. This recipe serves up to six so it’s perfect for sharing, and it’s a really simple recipe that products an amazingly refreshing drink. It’s not too sweet but not at all tart – perfect for any occasion. This is a Starbucks favorite during the summer and it’s sure to become your favorite, too. Starbucks ain’t gonna be happy! What an awesome round up! I am going to share these! Thanks so much for these wonderful recipes!! Lord knows I have spent many a “pretty penny” at Starbucks. It is time to show off my newly acquired skills on myself and a friend or two lol.